To the top of Europe! As the train rolled into Interlarken on Sunday I caught a glimpse of the Eiger, what I had come to see before heading back to New Zealand. I had about half a day to get up to at least Grindelwald so I could get a good look at the North Face of the Eiger. I guess I have been interesting in climbing right from the outset (thanks to Dad) and when I read Chris Bonnington’s book I chose to Climb aged about 9, I learned about the Eiger. I thought it was pretty cool to have all these names like the White Spider, the Swallows Nest, Death Bivouac etc on just one mountain face. It took Fiction and put it into the Non-fiction world. In climbing books the Eiger seems to pop up in just about all of them and after reading so many stories, accounts and films about the climbing of it I have always wanted to go and see it for myself. Possibly once there was a small part of me that wanted to get onto this wall and have a crack at it… when I thought my future was going to be all about climbing. Then I came across Orienteering and that took over in importance, plus I guess I have become a bit more sensible now. 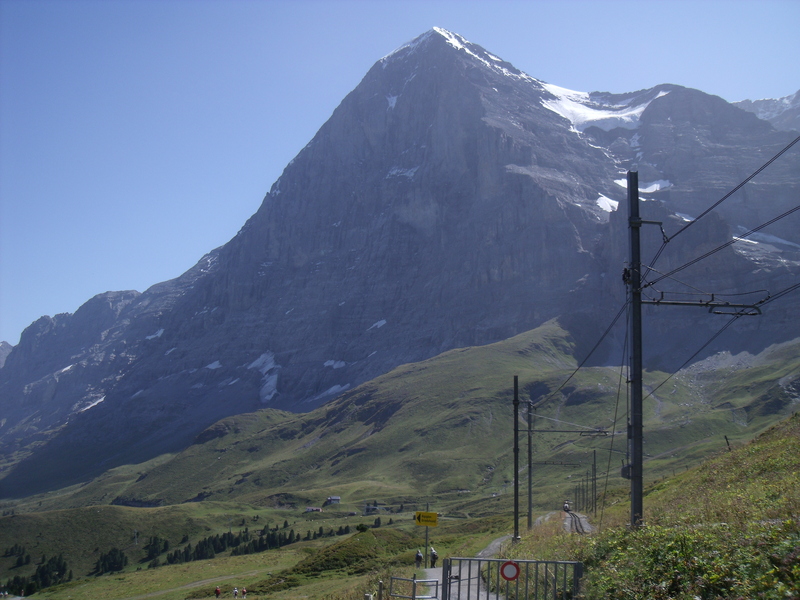 Anyway as I said goodbye to Ryan and he jumped on his train, I jumped on my train and headed up the valley to Kleine Scheidegg. It was a really nice day with the sun shining and not a cloud to be seen with really spectacular views out to the Eiger glacier. The North Face peered down from above but the detail was lost in the haze from the rising sun behind it. It was just a short stop in the station before jumping onto the next train to Jungfraujoch, the highest railway station in Europe. I wasnt particular excited about Jungfrau or anything other than looking down the North Face from the window at the Eigerwand station. It was very strange to be able to stop inside a mountain and look out from relative safety plus there was even toilets built into the rock! Once I got to the window I was surprised how safe it felt behind the window and how it didn’t appear that steep at all on the lower slopes of the wall. I could only imagine what it might have been like on the other side of the window with the cool wind blowing and the temperature about 6 degrees in the shade. Much steeper much more exposed and a lot less safe! The 5 minute stop here went so fast that I could have sworn it was more like a 30secs. If I wasnt so cold I might have just hidden in the toilets inside the station and waited for the next train half an hour later. The train continued up the railway to the next stop at Eismeer, which to my surprise was quite spectacular and maybe even more so than the Eigerwand stop! 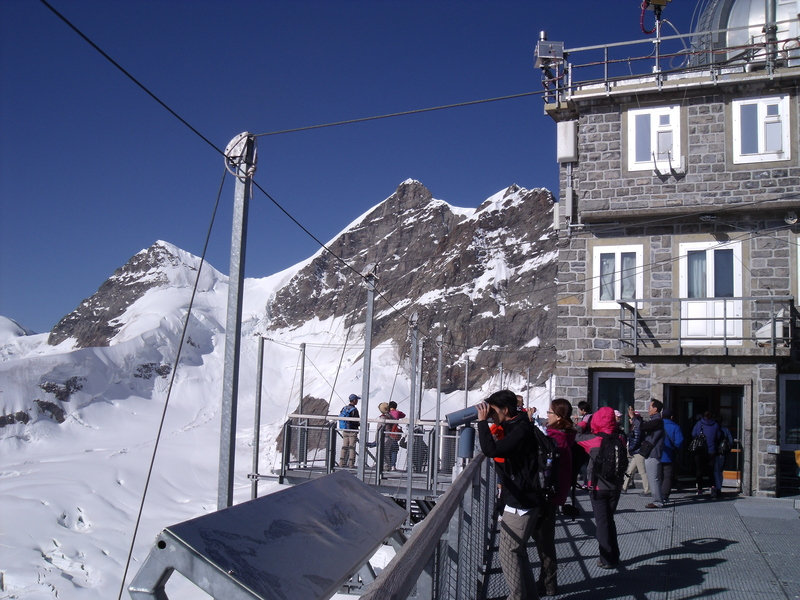 Finally it was straight to the top on the train to Jungfraujoch. I was pleasantly surprised here by how much there was to see and do at the station, which isn’t just a station it is a multi-level underground complex with a complicated network of tunnels! I planned to spend about an hour up here as I needed to get back to Zürich by the end of the day I had decided. 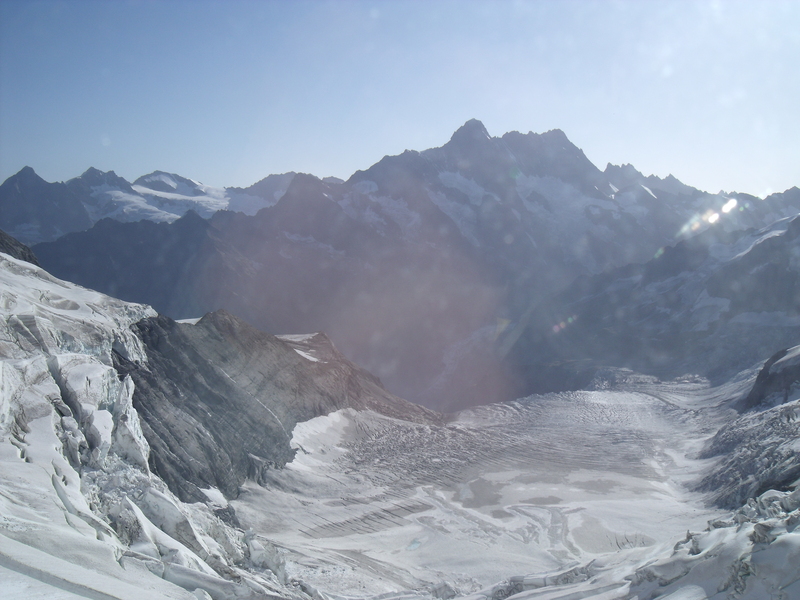 About 20 mins of that was just spent outside on top of the station having a good look around before I headed out on to snow on the path up to the Mönchsjoch Hut. 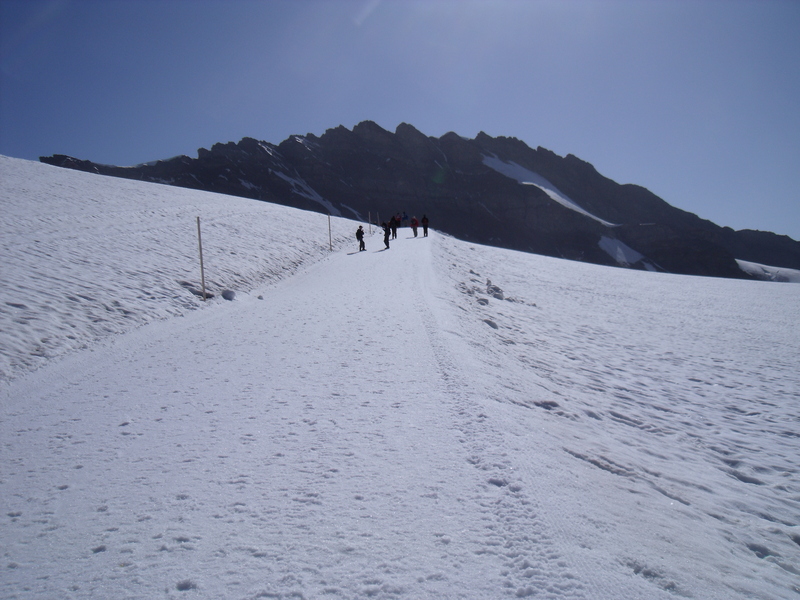 It was quite strange to be out and about in running shoes just casually walking up the snow at 3500m. At the hut I decided I had to buy some food just to say I had done so at the highest point I have ever reached on foot….so far! It also turned out to be the most expensive food I have ever bought also…no supprises there though. I missed the next train from the station down the hill but in retrospect I am quite glad I did so as I got to check out the Ice Palace, a network of tunnels cut into the permanent ice at the edge of the station. 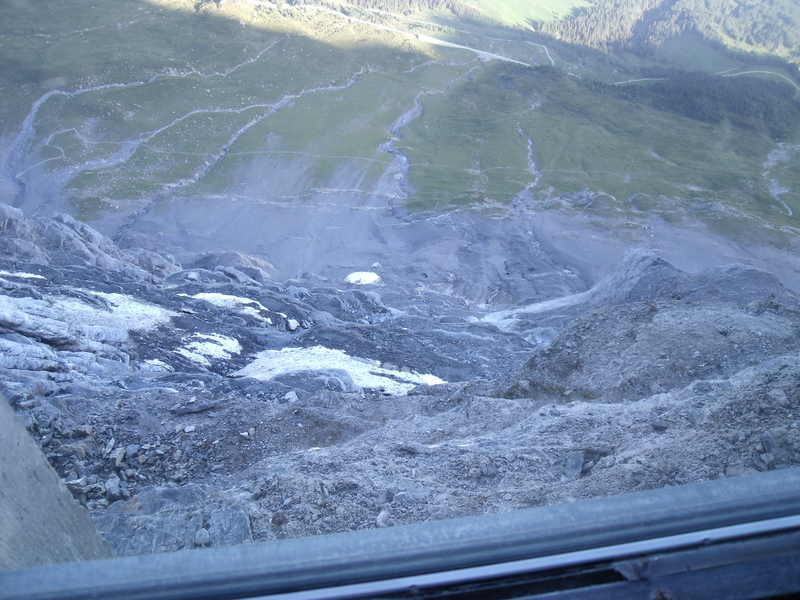 Eventually I was time to head down back through the tunnel and back to Kleine Scheidegg. I had a little time here to spend just staring at the North Face, picking out all the features from the White Spider to the Shattered pillar. Looking at pictures is one thing but actually seeing the face in person was a completely different experience. I wish I could have spent more time just sitting there looking at it. In hind sight I probably should have made time to sit there and stare at it for longer but I was on a tight time schedule to get back to the tent and pack up to get to Zürich. The North Face of the Eiger...This is what I came to see! Back in Interlarken I packed up my tent and lugged all my gear (around 30kg in total by this stage) back down to the bridge and up from the bridge to the train station. A trip that straight line would have been 300m was now more like 1.5km… then I headed back to Zürich, a fairly unexciting trip compared to the past 6 train rides I had taken that day. 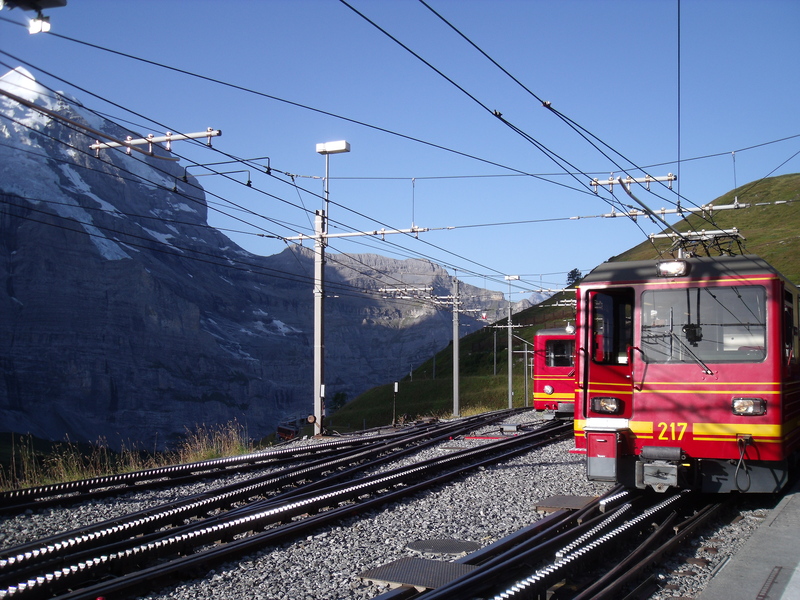 As the train pulled into Zürich station the temperature read 38 degC and jumping out of the train with 30kg of gear into a wall of heat was quite unpleasant compared to the cool 6 degC at the Eigerwand station. 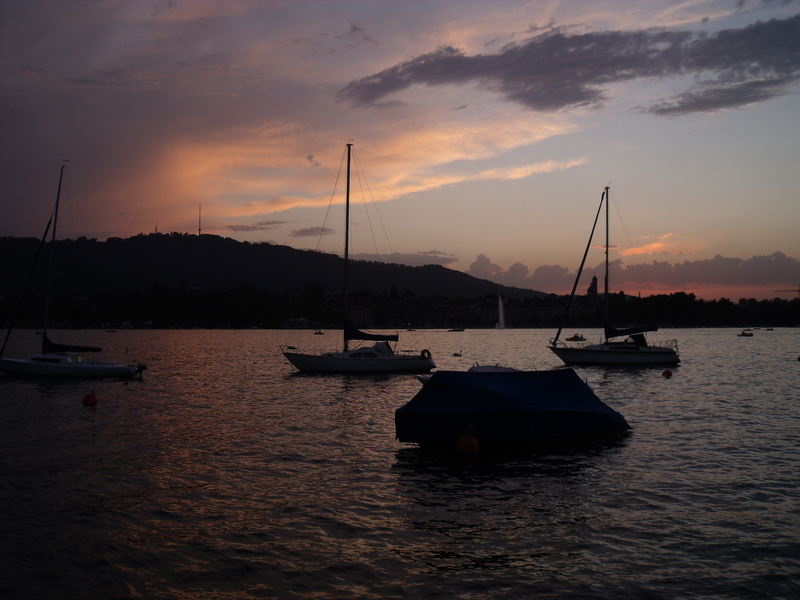 I had heard that Zürich was worth a look around, but since I had to leave pretty much the next morning for the airport I decided to take a look at speed and then I could also get a run in as well. Needed that so I would go insane from not running for 3 days of travel. It was a good way to see the city, and the old streets which were very similar to Annecy, and only a little bit cleaner.